As the capital of the People's Republic of China, Beijing is the political, economic and cultural center of country. The city is listed as one of the most famous historical and cultural cities and ancient capitals in the world. Beijing's history of capital of nation can be traced back to 1045 BC as the capital of Ji and Yan Nations. From 221 BC to 937 AD, Beijing was always a city of importance in north of China. The history of the city as capital of the nation is more than 650 years. The grand forbidden city, the great wall, numerous temples and palaces make the city a must see of China today. Courtyard 7 Hotel is situated in a small ally in the Dongcheng district (Back Meren, Hou Hai). At walking distance of the Drum Tower near the Lake Area at only 5 kilometers distance of the Forbidden City in Beijing. 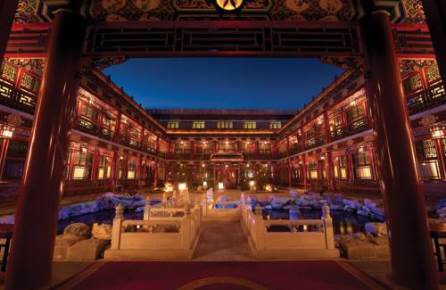 This 300 years old courtyard style hotel will make you feel if you have travelled back in time. With 19 well equipped, mostly traditional furnished rooms, a beautiful garden and free wifi internet, Courtyard 7 Hotel is an excellent choice for your stay in Beijing. Courtyard 7 Hotel in Beijing! 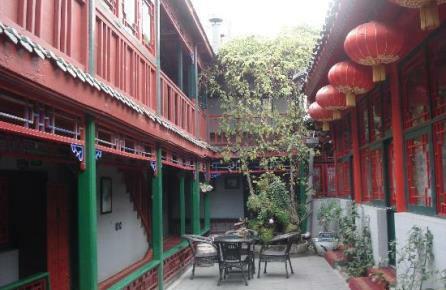 The Red Wall Garden Hotel is a charming 40 rooms counting, courtyard hotel, situated in a quiet Hutong (traditional area). 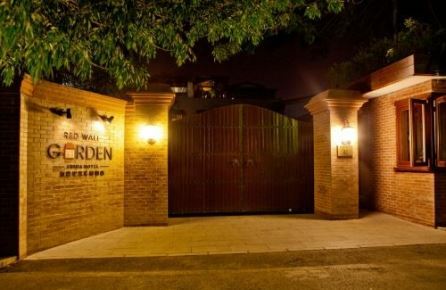 Staying at Red Wall Garden Hotel you can experience how traditional families used to live. The underground is at only 5 minutes walking distance and is the perfect way to visit the main touristic attractions of Beijing. The Forbidden city and Tiananmen Square are at only 5 kilometers of distance of Red Wall Garden Hotel. Red Wall Garden Hotel in Beijing! In the 1950's the building of The Grace Beijing hotel was used as an industrial complex. 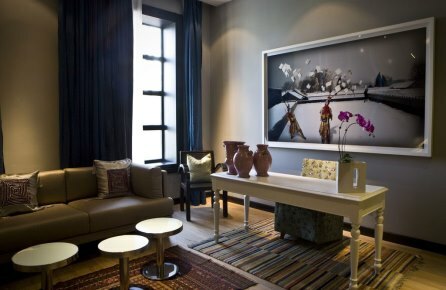 Nowadays this boutique hotel is located in the 798 Art District of Beijing. Here you can find plenty of art galleries, museums and small cafes. Each of the 30 luxurious rooms of Grace Beijing Hotel are fully equipped with everything you may need and have spacious bathrooms. The hotel is situated just in between the airport of Beijing and the city center, both are approximately 20 kilometers away. Grace Beijing Hotel in Beijing! 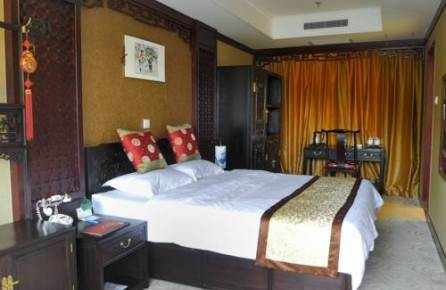 The Cote Cour Beijing Hotel is situated in a traditional Hulong in the Dongcheng district. This small and charming courtyard style hotel has 14 room. Staying in the Cote Cour Beijing hotel feels like staying at your families place. Two subways (Denshikou and Dongsi) are at walking distance of the Cote Cour Beijing Hotel and it takes 20 minutes to walk to the Forbidden City. The rooms in the Cote Cour Beijing Hotel are modern with western style beds. The excellent lounge area with free wifi internet and the garden are perfect places to relax after a day of sightseeing in Beijing. Hotel Cote Cour in Beijing! The Beijing Double Happiness Courtyard Hotel is an historical building of 250 years old and was built during de Qing dynasty. Located in a Hulong, surrounded by small streets and shops, you can experience how the Chinese in Beijing are living. Several subways can be found at walking distance as well The Drumtower, The Lama temple and the Forbidden City (20 minutes). All 32 rooms of the Beijing Double Happiness Courtyard Hotel are decorated with traditional Chinese furniture, which gives the rooms a cozy and charming atmosphere. Double Happiness Courtyard Hotel in Beijing! 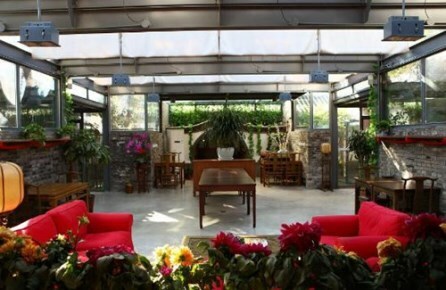 Located in a traditional area in the Haidian District Michael's House in Beijing is run by Michael and his wife. This courtyard style hotel has an quiet ambience where you can relax in the beautiful courtyard. In the small streets around Michael's House vendors set up small shops where you can buy a variety of goods. With a subway station on walking distance it is easy to reach all main touristic sights. 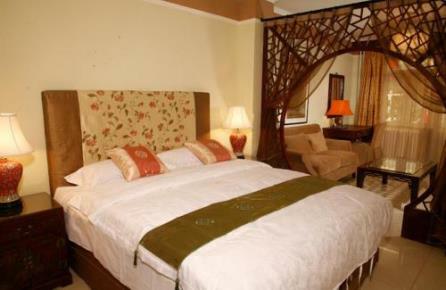 The traditional set decor of the rooms are equipped with modern amenities. Within 5 km of the Tiananmen Square and the Forbidden City Han's Royal Garden Boutique hotel is an excellent choice to stay during your visit in Beijing, Located in the historical part of Beijing, Han's Royal Garden Boutique hotel fits, with its traditional Chinese architecture and two gardens, perfectly in this surrounding. Take the subway station Nanluoguxia to the major touristic sites. This is station is just a few minutes walking away of the Royal Garden Boutique Hotel. 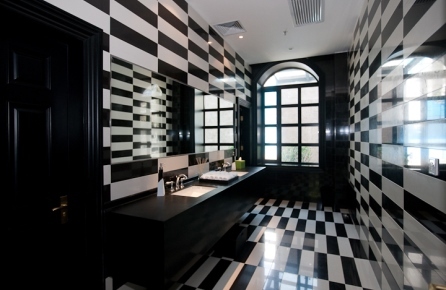 Han's Royal Garden Boutique Hotel in Beijing! The Ron Yard Hotel in Beijing is a true charming and romantic hotel situated in the historical part of Beijing and at only 5 kilometers distance of the Forbidden City, Beihai Park and Tiananmen Square. The Ron Yard Hotel is an traditional courtyard hotel but with all the facilities a nowadays traveler expects. The 30 rooms of the Ron Yard hotel are each individually furnished in Chinese style, which makes the atmosphere of the hotel pleasant and even romantic. If you don't like to take a taxi subway station Ping An Li (line 4) is at walking distance from the hotel. Ron Yard Hotel in Beijing! At walking distance from the Drum Tower, this small and charming 6 rooms counting courtyard hotel is the perfect place for travelers who try to stay away from the large hotel chains. Small doesn't mean no facilities. Each room of the Ji House is well equipped and with the traditional furniture, it brings back the feeling of the traditional way of Chinese living. 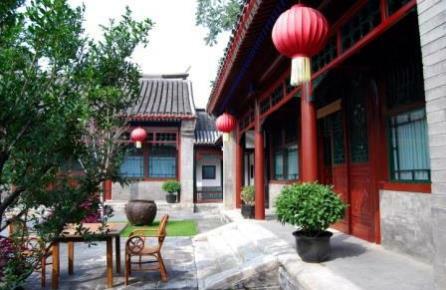 The courtyard of the Jo House with its romantic scenery makes you forget that you are in the heart of Beijing. 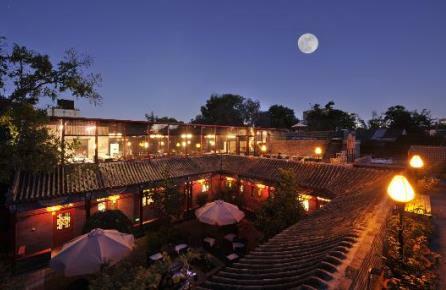 Charming, cozy, historical these are words which describe the Old Beijing Square an courtyard hotel with only 15 rooms. So each guest is treated like a king.. Many of the famous touristic sites of Beijing are within a couple of kilometers of the Old Beijing Square, Lama temple is the nearest at only 900 meters away. If you dont want walk to, for example The Forbidden City, you easily, can walk to Gulou Dajie Subway Station. Old Beijing Square in Beijing!